"Every condition exists simply because someone profits by its existence. "—Martin Luther King Jr.
Landlords fear it. Economists gripe about it. Tenants celebrate it. In the contentious world of affordable housing, two words—rent control—are no longer a far-off solution aimed at easing the housing crisis. Rent control is now very much law in Oregon. 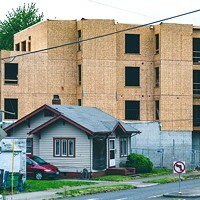 Senate Bill 608, which caps rental increases to just once a year, at 7 percent plus inflation, and forbids no-cause evictions after the first year, effortlessly sailed through both chambers of the Oregon Legislature, and was signed into law by Gov. Kate Brown Feb. 28. With the current inflation rate, the rental increase is capped at 10.3 percent this year. Brown said the new law would, "...Provide immediate relief to Oregonians struggling to keep up with rising rents and a tight rental market..." and is, "a critical tool for stabilizing the rental market." The bill was met with resistance from Central Oregon's state representatives, including newly elected Reps. Jack Zika (R-Redmond) and Cheri Helt (R-Bend), as well as Sen. Tim Knopp (R-Bend). Zika and Helt both testified during bill hearings, saying the bill would curb the supply of new development in Central Oregon—the fourth-fastest growing area in the nation., according to WalletHub last year. Supermajorities in both the House and Senate ensured the bill moved swiftly, where a previous 2017 bill had failed. "Oh you could feel it," says Zika. "It was definitely a done deal. I submitted amendments along with other Republicans in committee but they were denied. They had come to an agreement before the session had even started." Zika says he's received calls about "waves of evictions and rental increases," attributing it to "last minute knee jerk reactions of landlords," but didn't provide specifics. Helt testified she was worried the legislation would "deliver everybody a 7-10 percent rent increase per year." As it stands, the trends are rent increases of about 8-12 percent since 2012, according to the U.S Department of Housing and Urban Development. Though rent control isn't the only way to address a housing crisis, is it the fastest solution? Will it scare off developers and stem the much needed supply of new investment that Zika and Helt noted, slowing the development of the reported 155,000 units Oregon alone needs? In 2019, the average grocery bill will increase by about 1.4 percent. Salaries? About 3.1 percent. But rent? It varies. Though there are reports of rent increases in Portland by as much as 113 percent, the average rental increase in Central Oregon since 2012 falls on average between 8-10 percent per year, according to a 2018 HUD report. To put this in perspective, the HUD reports state the average asking rent in Bend in 2015 was $667, $774 and $898 for one, two and three-bedroom apartment units, respectively. 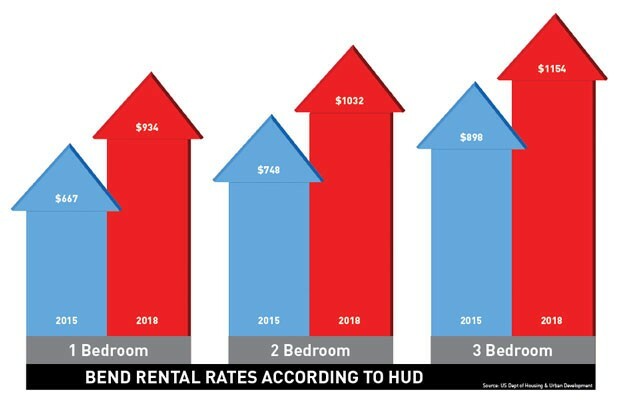 In 2018, HUD reports those median rents were $934, $1,032 and $1,154 for one, two and three-bedroom apartments—meaning the 2018 one-bedroom rental rate is 40 percent higher than 2015. That's an increase of 13.3 percent per year (not factoring in inflation). "Affordable housing is getting crushed by the available profit margins," says Ralph Lawrence, a long-term Bend tenant who has moved three times in the last four years and now shares a two-bedroom apartment with two others on the east side. He's tracked the progress of the bill and laments, "It's past time for our government to get into the housing industry." With restrictive land use and zoning policies statewide, it can be tough to spur new housing quickly. Zika and Helt hope to help by co-sponsoring HB 2336, which would provide more than 200 affordable housing units in Redmond on a 50 acre plot of land—similar to a 2016 pilot program which was awarded to Bend. "Oregon's restrictive land use system is playing a key role in the high cost of housing in Central Oregon," Zika says, "This is the type of approach we need to address the housing affordability crisis in Oregon." Building units takes time. By contrast, rent control offers immediate relief from "economic eviction"—when landlords force a tenant to move by initiating a large rental hike. Rental caps can also safeguard those most vulnerable, such as the elderly or lower-income populations, and costs very little to implement. The bill also requires landlords to provide 30 days' written notice for eviction, provide a one-month relocation fee and forbids no-cause evictions after a year, except for a "qualifying reason." Among these qualifiers are major renovations, conversions to nonresidential use or if a landlord or immediate family member wishes to move back into the property. Landlords who hold fewer than four properties are also exempt from the relocation fee. In terms of tenants ensuring their landlords play by the new rules, enforcement happens in small claims court. Although there are free services to help, such as LegalAid or the Community Alliance of Tenants hotline, it's not yet clear how many tenants will actually pursue action against landlords who don't follow the law. "I'd like for them to monitor this bill," says Zika. 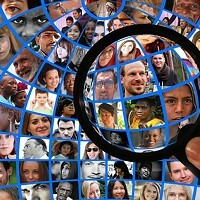 "They had all this data to get it passed so they should have the reporting mechanisms in place to prove it works," he said—though he wasn't specific on what type of data collection he would like to see. Are smaller rental increases sustainable? Is 7 to 10 percent reasonable? Depends on who you ask. Tenant advocacy groups say no. 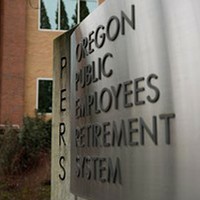 They maintain that increases of 2 to 3 percent—in line with salary increases, are fair. Meanwhile, landlords, such as Melody Luelling, president of the Central Oregon Rental Owners Association, worry that the somewhat generous annual cap will be reduced over time, to 4 or 2 percent or even less. Luelling and Zika both say that 7 percent plus inflation may not be enough—especially when properties age and need larger, more expensive repairs, like roof replacement. 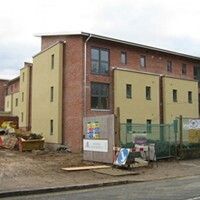 Within the new law, buildings 15 years or newer are exempt from the law, a clause included to quell any fears that new development will stall, but elicits additional worry that those developers and landlords will price-gouge until the 15-year time limit is up. They argue that in a market without caps, landlords can pass along upgrades or repairs onto tenants via higher rents. Caps may stop or delay them from making repairs and upgrading their properties. Zika predicts that right when the 15-year cap comes in, developers will sell their properties. "After the 15 years, if you don't repair it, that's when things start failing," says Zika, who's also a real estate agent. 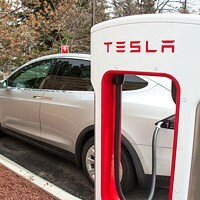 "Water heaters, roofs, you would be selling an apartment complex that would start to need major infrastructure updates. I don't think that's very good business." Though, in theory, those developers would had been able to pass along any needed repairs before the rental increases went in if they wanted a higher return on investment. Zika also worries that developers might avoid developing in Oregon, with the law in place. "Why would a developer spend millions of dollars if there's rent control?" he asks. "If I can just go to Idaho, why wouldn't I do that?" Luelling, who also doubles as a real estate agent and a landlord, notes that she's gotten calls from smaller landlords saying they will sell their homes in favor of buying elsewhere. "Like Idaho," she says. "Who this really hurts, isn't the deep pockets of huge corporations. They saw this coming and raised rents ages ago," Luelling says. "It hurts smaller landlords, those maybe born and raised here in Central Oregon who own single family homes as rentals. Multi-family homes, duplexes, those will always stay in the rental market, but it's the single family home that will be taken out of the rental market." She says that because the median cost to buy a home is so high, most small time investors won't buy them as rentals. 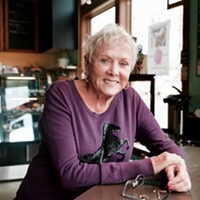 "I know of at least a few people who sold or are in the process of doing so and they will be owner occupied," she said. Luelling, who herself owns and manages 26 rentals with her husband, notes that since the bill so quickly turned into law they have yet to draft up new versions of leases for landlords to use. 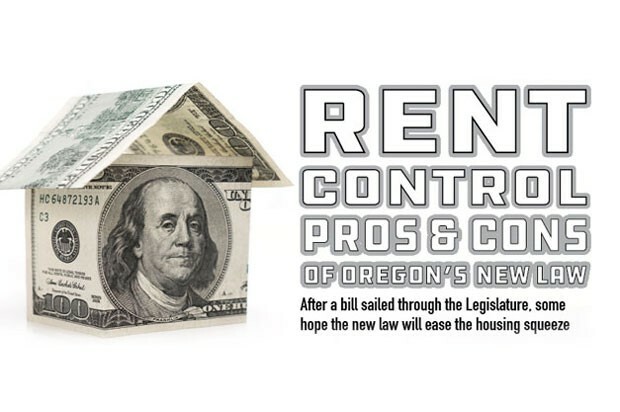 They hope an April 23 meeting of the Central Oregon Rental Owners Association will help landlords wade through the language of the bill. "You can have three different lawyers read this bill and interpret it three different ways." Many renters, meanwhile, are paying more than they can afford. The Oregon Center for Public Policy says a disproportionate number of renters are already cost-burdened. According to OCPP, 51 percent of Oregon renters, with more than half of those labeled as "severely cost burdened"—are paying more than 50 percent of their income toward rent. HUD's guidelines suggest no more than 30 percent of an individual's income be used for housing. In 2016, one-third or about 530,000 Oregonian households didn't meet that guideline. Of that total, 15 percent couldn't afford to pay for all of the other needs. Food and health care funds were severely lacking, and housing instability ate away at the physical and mental health of children, affecting their ability to potentially succeed, according to the OCPP. They also note that renters are more likely to be cost burdened than homeowners. In Central Oregon, a 2017 Homeless Leadership Coalition Report found that 57 percent of the reported homeless became so while a resident of Central Oregon. Meanwhile, 59 percent cited economic reasons as the cause of their homelessness or housing instability. And though rental caps are seen as the enemy of economists such as Assar Lindbeck—who once famously said it was the worst thing to happen to a city, next to a bombing—new evidence is emerging that rent controls helps, especially among the most vulnerable populations. A Stanford Graduate School of Business report noted that the biggest benefit came to those renters who were in their units when rent control was enacted. Those coming later would most likely pay higher rates. San Francisco, which the report examined, is an interesting case study however, because other factors, such as the lack of dedicated new affordable housing units and the burgeoning tech industry, have greatly contributed to its income disparity. However, the paper ultimately concludes that, "We find that rent control increased the probability a renter stayed at their address by close to 20 percent and that stabilizing effects are significantly stronger...among households that have already spent a number of years at their treated address." Stability, as Gov. Brown wanted, may be on the horizon—especially if the proposed $400 million assistance package for affordable housing, homelessness and rental assistance goes through this legislative session. "Decent, affordable housing should be a basic right for everybody in this country," writes Matthew Desmond, author of the book, "Evicted." "The reason is simple: without stable shelter, everything else falls apart." Editor's note: The print version of this story named Melody Luelling as the president of the Central Oregon Realtors Association. She is the president of the Central Oregon Rental Owners Association. We regret the error.